Two things have been preoccupying me lately: Army farewells and wardrobe dilemmas. After a good run, my husband will soon relinquish his company to a new commander during a change of command ceremony. He has innumerable tasks to attend to in preparation, but there isn’t much for me to do except choose one pretty outfit to wear to the ceremony. The stress is unbearable! 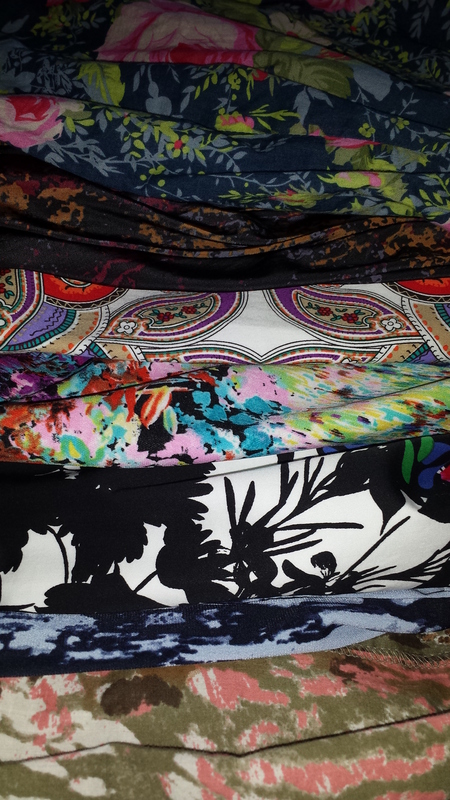 A pile of dresses with vibrant patterns. Which do I choose? Most of my nice dresses don’t fit anymore because I (accidentally) lost some extra pounds, and now they hang off my shoulders like shapeless, circus-y potato sacks. I was tempted to order a nice pair of shiny pants from J. Crew and wear them with a little wool jacket. It will be chilly in February and the Kansas wind is notorious for blowing skirts in embarrassing directions, so pants are a wise decision. Of course, I got distracted with work, children, and everything that fills the mind of a housewife, and I forgot to order them. Now I am back to staring into my closet, wondering if I can pin anything into a respectable shape and cover it with my wool jacket. Agonizing over what to wear brings to mind memories of past ceremonies and events attended, the outfits and costumes I painstakingly assembled or just threw together, the revelry of friendship, and the pain of saying goodbye. For a military spouse, choosing an outfit for a special occasion is bound to make dormant memories spring back to life. Coming to Kansas held promises of new adventures, but I was definitely nervous about interacting with other Army spouses. I’d previously had little exposure to them, and with my only background knowledge coming from a few episodes of ‘Army Wives‘ I wasn’t sure what to expect. It didn’t take long to realize I had stumbled upon the Dream Team of spouses in my husband’s organization. After getting to know several of them, I was enthusiastic to be involved in their community events, fundraisers, and social gatherings. My husband had no qualms about volunteering me, and by the time he took charge of the company, I was slated to be the Family Readiness Group Leader, even though I had no inkling what the responsibilities would entail. I learned that the best way to figure out anything in the organization was to dive in, ask many questions, and above all else, be myself. I was grateful to learn that the spouses in advisory positions were not judgmental, and that they encouraged individuality. I knew immediately that this organization would be a perfect place to learn, grow and excel! Not realizing what I had discovered, my husband was more cautious. When we attended our first social event, a semiformal fundraiser, he insisted that I conceal all cleavage by taping my low cut dress at a severely modest angle on my decolletage, and by wearing a shawl so as not to give the impression that I was a street walker. Incensed at his lack of trust in my judgment, I nonetheless compromised and taped myself into my dress. But I refused to wear a shawl! I told him that I knew the other spouses would be wearing the same type of low cut dress, but he countered with “I just think you should dress more conservatively because I don’t know how my boss will react if you have cleavage flying everywhere.” When we arrived at the fundraiser, I smirked in self satisfaction while he gaped at the throngs of heaving bosoms and short hemmed thighs shimmying around the conference room. “I told you so,” I seethed, “and this tape is giving me a rash!” Since then, no matter how emphatically he argues the virtues of bland attire, I refuse to dress “conservatively” for any Army function, with one exception where I ended up dressed like a Nancy Reagan stunt double. Note to self: remove all shoulder pads from blazers and avoid wearing hair in a pompadour from now on! 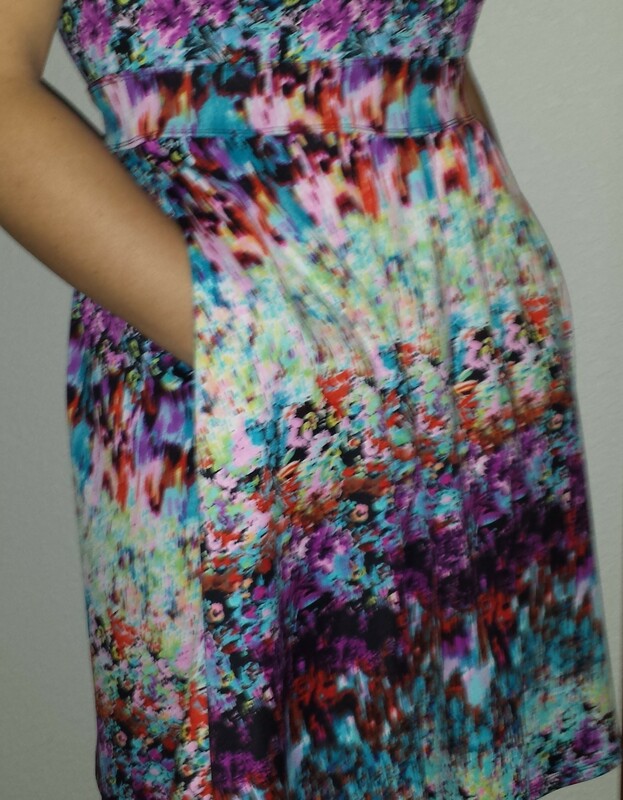 A dress with pockets is a brilliant investment! Once I found myself in a group of spouses who would not pass judgment on me for my background, beliefs, point of view, and yes, choice of clothing/questionable fashion sense, I became much more comfortable just being myself. This opened up a world of possibility for my previously boring wardrobe. I began to courageously show up at ceremonies in unconventional outfits. I attended the change of command ceremony for our beloved Battalion Commander in a seizure inducing psychedelic flower printed Cynthia Rowley sundress (complete with pockets), fantastic paisley fishnet hosiery from Missoni, and little black stiletto boots. I thought my husband would pretend he didn’t know me out of embarrassment, but the Battalion Commander’s wife was tickled; I did it for her anyway. Life is too short to wear clothing that makes you feel stuffy, especially when attending ceremonies where all you want to do is cry your eyes out while saying farewell to the people you adore! You might as well be happy with your clothing. Two dresses: one from when my husband took command and one from when he came home from Afghanistan. 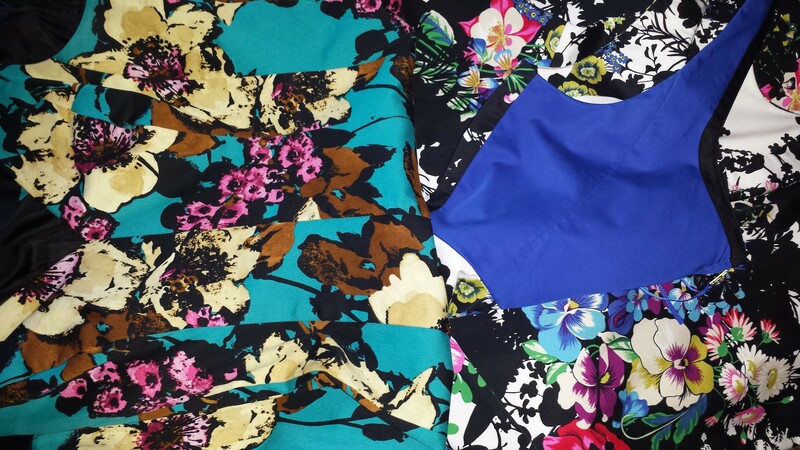 Apparently I have a thing for floral prints. I probably won’t go overboard for my husband’s change of command. Even though this ceremony will pay homage to a period of time when his Command Team (which includes me) held the unit together through teamwork, leadership, and love, it isn’t all about me and my fabulous outfit. But it is a little about me and my fabulous outfit…As the commander’s spouse I will be a representation of the pride invested by Army families when we send our loved ones to serve. So I really should be dressed appropriately, perhaps a little triumphantly, in clothing I love, to show I am excited and proud that my Command Team is passing the torch of a fine organization. A well put-together ensemble can go a long way in translating such noble sentiments. This entry was posted in Daily Thoughts, Life As I Know It, Random Writing and tagged Army Wives, Change of Command Ceremony, Command Teams, Family Readiness Groups, FRG, Kansas, Military Spouses, Preparing for Change of Command on January 22, 2014 by Georgeann.